Romney Thomas and Aubrie Walker contributed to this article. While Houston could have been referring in that statement to leaders in politics and war—two places where Houston earned his recognition—he easily also could have been referring to leaders in education, a position he also once held. Six Sam Houston State University alumni and administrators who have lived by those words, helping to improve lives, and for several the system as well, have been recognized by the College of Education for the 2015 Distinguished Educator of the Year awards. Meghan Zigmond, “Distinguished Elementary Teacher;” Cara Moreland, “Distinguished Secondary Teacher;” Tiffany Woods-Simon, “Distinguished Support Professional;” Pamela Wells, “Distinguished Administrator;” Steve Johnson, “Friend of Education;” and Jack Staggs, “Legacy Award” recipient, will be honored on March 7 during a dinner and ceremony in the Lowman Student Center Ballroom for their excellence in the field. For more information on the COE Distinguished Educator of the Year awards or the dinner, contact Sherry Hirsch at edu_slh@shsu.edu. In this age of rapidly evolving technology, many teachers’ comprehension of that technology may fall beneath that of their students. In the case of H.G. Olsen Elementary School first grade teacher Meghan Zigmond, this assertion could not be farther from the truth. It is Zigmond’s zest for innovation and passion for sharing her knowledge with students, teachers and parents, alike, that make her deserving of this year’s “Distinguished Elementary Teacher” award. An elementary teacher since 2006, Zigmond has shared her passion for educational technology with the small community of Port Aransas Independent School District by helping to secure iPads for the pre-K to second-grade classrooms. The iPad program under Zigmond’s guidance became so successful that it has expanded to a 2:1 iPad-to-student ratio across the entire school. Zigmond assists in helping Olsen Elementary to constantly connect, create, and collaborate, placing emphasis on student achievement. By sharing her student’s accomplishments through her blog, Zigmond connects achievements in the classroom to the entire world. 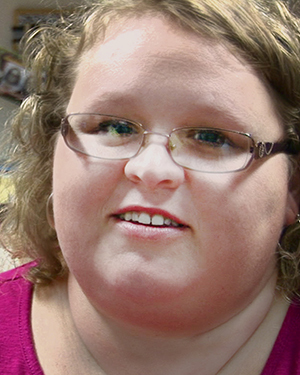 She earned her master’s degree in library science from SHSU in 2010. According to another colleague, Zigmond is constantly researching and sharing her findings in order to better integrate technology with the curriculum. 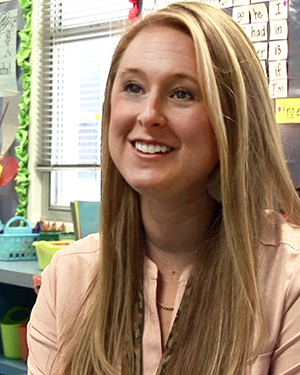 A graduate of Sam Houston State University’s academic studies program (2005) and recipient of a master’s degree in instructional technology (2012), Moreland tackles challenges within her classroom head on. 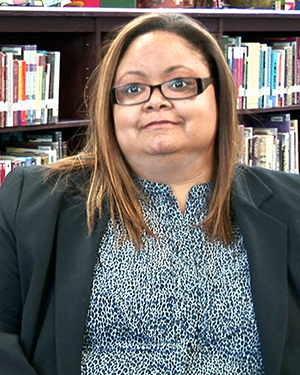 While teaching technology classes at Navasota Junior High School, she has helped implement a project-based learning approach that helps students quickly find confidence and independence in a competitive and rapidly changing world. Her colleagues commend and admire her tenacity and involvement in her students’ lives, and she is notorious in her community for being available to step in and assist with any responsibility—no matter the size. In addition to her classes, Moreland serves as a sponsor for three organizations, coaches UIL academic events every year, and teaches math skills to students who struggle to pass their state assessments. She also has undertaken the added responsibility of fostering two children. The relationship she built with these students allowed them to grow and succeed in a way that would not have been possible had she not intervened and changed their situation forever, according to colleagues. Simon works hard as a high school counselor in Klein ISD to stay abreast of the ever-changing trends that have a tendency to impact adolescent behavior. In particular, she is recognized for her work concerning teen dating violence, something that one in every four teens report being a victim of, according to the Centers for Disease Control and Prevention. She works, first, within her school, to create an atmosphere of openness in order to make students feel comfortable about coming forward with issues in both their academic and personal lives. Simon also takes the opportunity to expand her knowledge in other secondary schools within her district and helps other counselors to benefit their communities, as well as positively impact teens’ lives. In collaboration with St. Monica’s Catholic Church, Simon has found another opportunity to create a positive impact within her community. Her volunteer work at St. Monica’s affords students and parents to receive vital information relating to scholarship searches, academic planning, college visits, and more. Simon also mentors aspiring school counselors and counselor educators concerning key topics in today’s high schools. Simon’s professionalism and commitment to the success of her students, as well as her attitude toward her work, places her far above the level of the average educator. Of her work within her community, colleagues and mentors are both supportive and optimistic. The College of Education “Distinguished Administrator” Pamela Wells has held many positions in the educational field, has been a part of the growth in several districts, and has successfully managed the improvements to each school she has overseen. And in those 39 years of involvement and leadership—including 33 years of teaching and administration—she has touched more than a million lives. “I am committed to my profession because of my firm belief that providing equal access to a high-quality public education for all students is the only way to preserve our democracy,” Wells said. 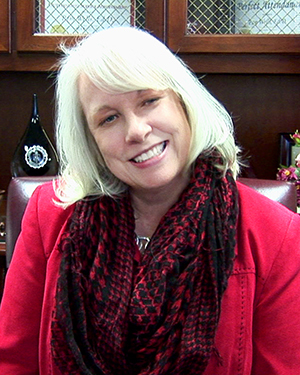 Wells now is the executive director of Region IV Education Service Center, where she overseas the largest of the 20 education service centers in Texas, offering support to more than 1.1 million students and close to 87,000 professional staff in 50 school districts and 45 public charter schools across the seven-county greater Houston area. The center assists districts and charter schools to increase student performance, to operate efficiently and effectively, and to implement Texas Education Agency and legislative initiatives. “By serving as an advocate for public education, as well as a willing resource for business and community leaders, I have been able to broaden my contribution to public education,” Wells said. Her impact has gone well beyond that of public education, according to one nominator. In addition to being an adjunct professor at Sam Houston State University, where she received both her master and doctoral degrees, she has traveled to and conducted research in schools in Japan, Denmark, Canada and Costa Rica. “I am determined to continue learning and growing in my chosen field of education and hope to continue to make whatever contributions I can,” Wells said. Johnson, a 1982 and 1999 College of Education alumnus, currently works with the Region VI Education Service Center as the coordinator of leadership and development. 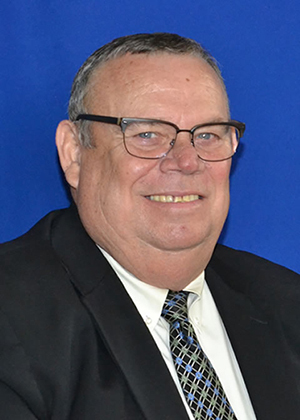 He served 10 years as superintendent for both Huntsville and College Station Independent School Districts and also served in many additional roles in school settings. His work in Huntsville came in the midst of retirement, when Johnson learned that Huntsville Independent School District had hit a rough patch due to funding cuts in Texas districts. This need spurred Johnson to leave retirement and accept a full-time job as the HISD superintendent, according to one nominator. During his tenure, Johnson led the completion of various building projects and other improvements to HISDs campuses that recognize “that students and staff here deserve more than ‘good enough,’” said one HISD a board member. “He has brought healing to the district, inspiring trust through consistency, and refusing to engage in the past,” she said. Johnson said he feels deeply for the Huntsville community and sees the potential of the school system’s ability to change lives. A World War II veteran whose passion for education has driven him to help others succeed, Jack Staggs is recognized with the College of Education’s first Legacy Award. The Legacy Award honors outstanding college community members whose contributions and service have left a legacy of distinction and impact on the field of education. What would become a 34-year career at SHSU was spurred during Staggs’s military experience. This experience helped Staggs decide to become a teacher, which evolved into a fascination with education that would lead him to get his bachelor’s degree from State College of Arkansas, his master’s degree from George Peabody College for Teachers, and his doctorate in educational leadership and counseling from the University of Houston. In 1960, recruited by then-SHSU student union director Elliott T. Bowers, Staggs came to SHSU, where he taught and was director of the education department. During this time, Staggs’s legacy on the profession and on SHSU began to take shape. He came to be considered one of the founders of counseling in the State of Texas and his work, both as administrator and scholar, helped transform the education department—he was instrumental in expanding the education programs in both scope and size, helped create the Counseling Center on campus, and began teaching in the counselor education program. 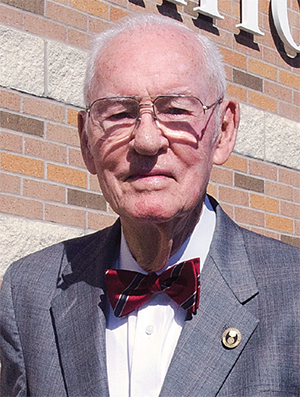 After retiring in 1992, Staggs continued to have a lasting impact on the College of Education by endowing multiple scholarship funds in elementary education, reading, and Spanish; establishing the outstanding dissertation award endowment; and donating equipment to create a state-of-the-art counseling clinic (that now bears his name) that provides free counseling services to the community, while also preparing counseling students in one of the most outstanding training facilities in the nation. Following his retirement, Staggs was named “Professor Emeritus of Education” by the Texas State University System Board of Regents. The legacy he leaves on the counseling profession, the students whose lives have been changed by his philanthropic generosity, and the students, faculty, and community members who continue to benefit from his lifetime of servant leadership to improving education is immeasurable, according to COE Dean Stacey Edmonson.